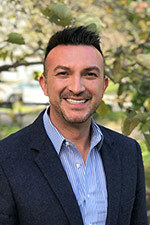 Jad joined American Forests in 2017 as Vice President of Conservation Programs and was named President & CEO in 2018 after a year of leading the organization forward on issues like climate change and social equity. From 2008 to 2017, Jad launched the Climate Conservation Program at The Trust for Public Land and eventually served as Vice President for Program Development. Jad is a widely published writer on conservation topics, including an active presence on Medium, and has played a leading role in authoring and enacting federal legislation to establish forest programs such as the U.S. Forest Service Community Forest Program. 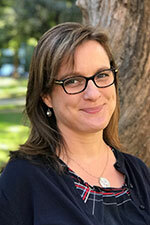 Jennifer guides fundraising and development efforts at American Forests. Prior to joining American Forests, Jennifer served as Chief Development Officer for the Nuclear Threat Initiative and led fundraising and communications efforts for the George Washington University Libraries. 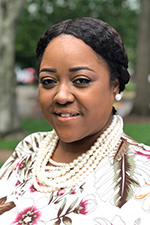 She is also an active member of the Association of Fundraising Professionals Washington DC Metro Area Chapter, and served as the 2017 Chapter President. With over 17 years of experience raising resources for mission-driven non-profits, Jennifer is proud to leverage her fundraising expertise to enable American Forests to have a lasting positive impact on the health of the environment now and for generations to come. Peter oversees the business and financial operations of American Forests, as well as technology and human resources. 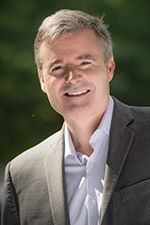 Previously, Peter was the vice president of knowledge initiatives at the American Society for Association Executives, where he was responsible for engaging thought leaders from both inside and outside the nonprofit community and developing knowledge resources for the profession. 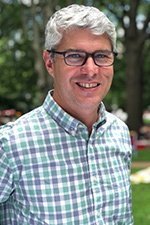 Ian has served as American Forests’ Director of Urban Forestry since 2014. Through the award-winning Community ReLeaf initiative, he has developed a model that helps cities across the country build long-term capacity for managing their urban forests and addressing tree equity issues in low income communities. 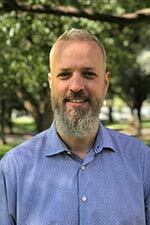 He has helped position American Forests as a national leader in integrating urban forestry expertise into the processes of building a city’s tree canopy. Prior to American Forests, Ian served as the State Urban and Community Forestry Coordinator for the District of Columbia. Alix oversees the formation of American Forests’ policy agenda, government relations and external affairs, and advocacy effort. Alix has nearly two decades of experience leading policy improvements in natural resources and health. 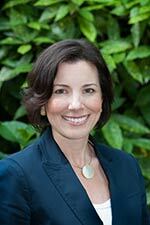 Prior to joining American Forests, she served as the Federal Policy Director at The Chesapeake Bay Foundation. She is a graduate of Hamilton College and Catholic University Columbus School of Law, and is licensed to practice law in the State of Maryland. Eric leads the implementation of our forest conservation efforts, including our American ReLeaf, Global ReLeaf and Wildlands for Wildlife programs. 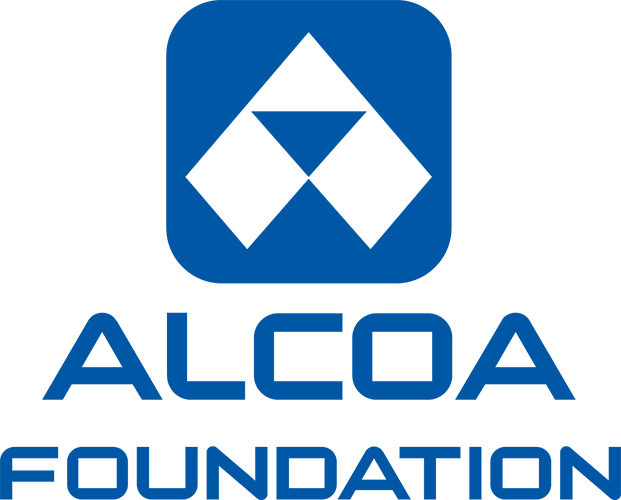 Before joining American Forests, he directed the Alliance for the Chesapeake Bay’s efforts to restore forest ecosystems, including accelerating the planting of trees along streams and using market-based forest conservation strategies. 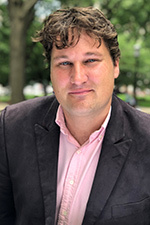 Eric has also worked with the Pinchot Institute for Conservation, The Conservation Fund and the U.S. Environmental Protection Agency’s smart growth program. Becky has been with American Forests since September of 2010. She began her tenure here leading the organization’s policy and advocacy work. She now helps oversee the implementation of the strategic vision for the organization, provides insights on its range of programs, and offers select legal guidance. Prior to joining American Forests, Becky was a mediator for environmental policy and law conflicts at The Keystone Center. Becky has a Master of Environmental Management from the Yale School of Forestry and Environmental Studies and a JD from Vermont Law School. She is licensed to practice law in Massachusetts and Colorado. 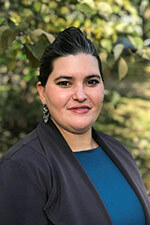 Brittany serves as American Forests’ California State Director. While American Forests has a rich history of project work in California, prolonged drought, tree mortality, pest disturbances, increased wildfire activity, and an ever-changing climate call for more coordinated, on-the-ground action. 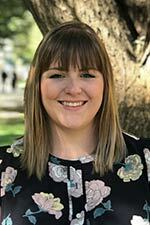 Brittany has worked on forest health issues in California since 2009 where she served in leadership positions for a regional nonprofit and local government. She currently serves on the Governors Forests Health Task Force. Her priority at American Forests is to expand the implementation of climate smart restoration treatments as state, federal and private partners accelerate the pace and scale of forest restoration activities. Brittany, an AmeriCorps VISTA alumni, has a B.S. in Communications/Public Relations and most recently obtained a Master of Natural Resources via the Forest Ecosystems and Society program at Oregon State University. 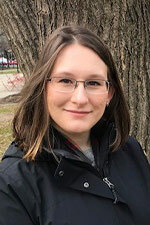 Lindsey manages new and existing corporate partner relationships to increase support for the many programs and projects American Forests implements each year. Prior to joining American Forests in April 2016, Lindsey oversaw a variety of corporate partnership accounts for the Dayton Dragons, a baseball team out of Dayton, Ohio and the single-A affiliate of the Cincinnati Reds, for more than five years. 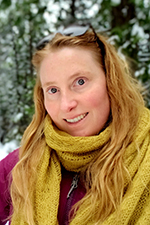 Emily leads American Forests’ major gifts efforts and is committed to building strong relationships with people who share a passion for conservation and the environment. She is especially interested in the interplay of forestry and urbanization. Emily brings her years of nonprofit fundraising experience to the organization, previously working at African Wildlife Foundation and TechnoServe. Michael shares American Forests’ prestigious story of progress, the promotion of science-based strategies, supporting innovative forest management and conservation for generations to come. He is focused on providing meaningful digital content, building media relations, unifying outreach efforts and growing lasting partnerships. He has been a former communications leader for Native American-based associations and nonprofits since 2006. Born and raised from the Navajo Nation, he is a graduate from Northern Arizona University and Georgetown University. Sarah’s work focuses on equipping urban forestry stakeholders to build and retain a diverse, qualified and representative workforce. 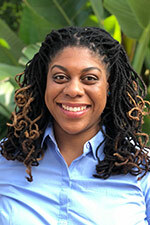 Previously, she ran Lillie Leaf Solutions, LLC, a consulting firm that helped urban greening stakeholders address equity, access, inclusion and justice in their work. 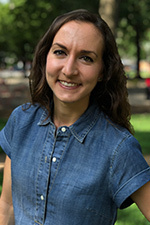 Sarah’s experience includes developing and administering national urban forestry programs, managing constituent engagement for urban tree and city park associations, and facilitating local and national conferences. Nora oversees the organization’s fundraising database. If you have questions about your account, feel free to reach out! She brings years of nonprofit experience to the organization; prior to joining American Forests, she was the Donor and Partnerships Manager at The Ocean Foundation. Kendall manages our forest climate science projects and supports our Climate Leadership Strategy as a technical expert on forests and climate. Her work focuses on helping to advance supportive policy, integrating climate science and aiding in the building of partnerships. Before joining American Forests, she worked on carbon offset project research and policy recommendations for climate-smart land use. 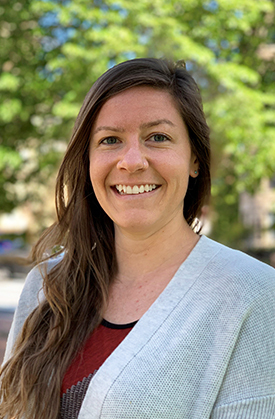 Kendall holds a BA in Environmental Policy from Colorado College, and Master of Environmental Management and Master of Forestry degrees from Duke University. Claudia leads our direct mail and digital fundraising efforts. She also assists the Major Gifts and Small Business Partners programs. Before joining American Forests, she headed the Stock/securities gifts program at The Nature Conservancy. 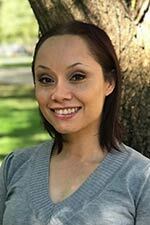 Eliza manages the implementation of our place-based urban forest programs across the nation. She has worked in parks, city centers, and remote forests as a natural resource manager, an environmental educator, a forester, and a land conservationist, with groups ranging from youth in cities to ranchers in rural areas. She enjoys working with communities to improve their environment and to restore their parks, forests and streams. 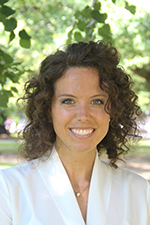 Eliza holds an MPA in Environmental Science and Policy from Columbia University. Austin manages our landscape-scale restoration initiatives under the American ReLeaf Program. Before joining American Forests, Austin worked on ecosystem service valuation projects as an economic consultant, planted trees along streams in Oregon, studied forest regeneration after wildfire, and herded prairie dogs along Colorado’s Front Range. 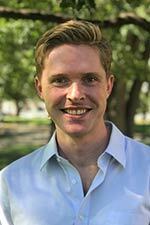 Originally from Santa Fe, New Mexico, Austin is a graduate of the University of Colorado at Boulder and the Yale School of Forestry. Sarah develops new and existing corporate partner relationships to support programs and projects American Forests implements each year. 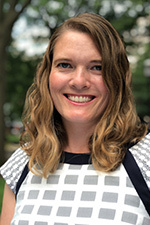 Prior to joining American Forests in 2018, Sarah oversaw corporate member engagement for the National Building Museum. Sarah holds a BS in Design Studies and a BA in French from West Virginia University. With over 15 years of experience providing direct support to executive staff and office personnel through office management, report building, event planning and more, Tia brings exceptional expertise to American Forests in the day-to-day management of the organization. Rose manages our Community ReLeaf program and National Register of Champion Trees. Her past work involved locally and nationally-focused urban forestry nonprofits, environmental justice programs, and co-founding Pittsburgh’s first urban gleaning program, Hidden Harvest. 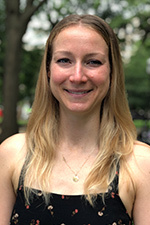 Rose holds a BA in Environmental Science from Chatham University and is currently pursuing a certificate in Climate Change and Health from the Yale School of Public Health.